We have some great reads for you this week! In a world where push notifications and message alerts are popping up on our phones and computers at every second, minute, and hour of the day, it's safe to say that we are continuously connected to the happenings all around the globe through technology. When it comes to the hospitality industry, it is crucial for a hotel to be just as connected. Hotels must be aware of any breaking news in order to ensure the safety of its guests, employees, and property. The first read demonstrates how hotels are now integrating social media data to gather information and improve their security operations with more immediate responses. Not only do hotels need to be connected for security reasons, but also for marketing purposes as well. In our second read, Facebook encourages the travel industry to prioritize mobile strategies to reach more guests as more than two billion messages are being exchanged between brands and people each month. With consumers spending more and more time on mobile, hotels should consider focusing on mobile to drive business growth. While technology is clearly essential for advancement in the hotel industry, there is still a technology deficit in the sector and the need for more interconnectivity within the market. The third article highlights the importance of integrations between hotel technology providers and how working together can improve innovation, efficiency, and profitability for the industry overall. Welcome. 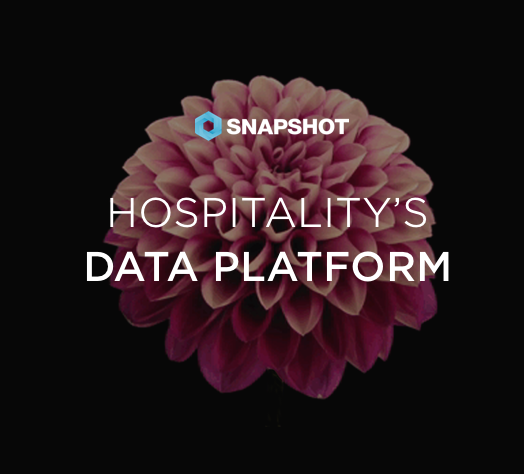 Here we chat about what’s happening in hospitality, data, tech, and everything in between. Analytics is SnapShot's flagship product. A cloud-based hotel analytics tool that presents a comprehensive overview of your hotel data on a powerful yet intuitive dashboard. It's quickly becoming an essential tool for any hotel management team, whether they have three-thousand rooms or thirty.